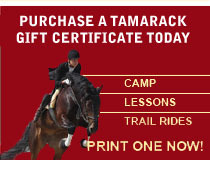 Create an account for the Tamarack website today to receive great benefits! Join our email list, register and pay for classes and camps online and much more! Note: You will be able to add your student's information during registration for classes and camps.